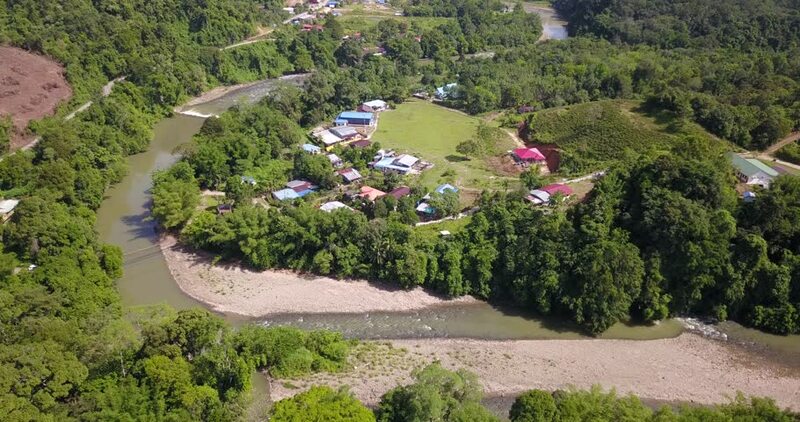 Aerial footage of rural village panorama with river house and green vegetation during misty morning in Kiulu Sabah Malaysia Borneo. 4k00:11Blooming lilac in Botanic garden. Aerial view.